Ubuntu 10.10 ..(Maverick Meerkat) is one of the popular operating system among desktop users.Although Ubuntu has lot of useful applications that comes by default but still some common applications are not installed.Skype,the popular VoIP software is one of them.You can install skype on Ubuntu either from the Synaptic Package Manager or by opening it with Ubuntu Software Center after the manual download from it’s official website. VOIP software uses voice over internet protocol and the voice signal is transmitted over the Internet or Packet Switched Network instead of PSTN(Public Switched Telephone Network).Voip software can be developed in many ways – i.e based on proprietary or open protocols.e.g IMS(IP Multimedia Subsystem),RTP(Real Time Protocol),SIP(Session Initiation Protocol)…and so on.Here is the two best and free voip software for internet calls on the windows platform. #1. 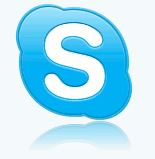 Skype : It’s available free for instant messaging,voice calls(Audio and video calls),video conferencing(With Some limit),file sharing and other lot of features are available.For other features like calling PC to phone,is not free instead you need to buy skype credit by using Paypal.Some other features include HD video quality,Call Transfer,so on.Skype 4.2 version is available for windows.To install skype on windows 7,First download and then double click;follow the instruction on the screen and enjoy Skype!! #2. Google Talk(Gtalk) : It’s a great application that uses XML and XMPP based protocol like jabber and very good for text message(with lot of fun) chat,voice calls,for sharing files with your friends…and so many fun with no cost at all.Download Gtalk and install to enjoy goggle Talk. On Ubuntu 10.04(Lucid Lynx LTS),Empathy IM Client is installed by default but if you are wondering whether the cross-platform voip application, Skype(a free voip software for making Internet call using voice over Internet protocol,audio call,video call and conference,instant messaging..) is available for Ubuntu 10.04 or not,then relax…It’s now available for Ubuntu or other Linux Distro.Skype 2.1 Beta 2 has just released for Ubuntu 10.04.Skype supports many flavors of Linux;In case of Ubuntu,it’s available for 32-bit ubuntu 10.04 as well as for 64-bit Ubuntu 10.04 LTS(Actually it supports only few latest version of ubuntu,after 8.10). Conclusion : Skype is a free-ware application not an open source!,if you want open source alternative to skype then install google talk or Empathy Client. What is google talk(in short – gtalk)? Google Talk is an instant messaging service(The Project is developed on Google Code) which is built on Open Protocols – XMPP,Extensible Messaging and Presence Protocol(Old Name – Jabber),an open protocol based on XML; and Jingle(an extension to XMPP for initiating and maintaining peer to peer sessions).gtalk,a google instant messenger(With Extra features like voice calls over Internet using voip) is free and it’s source code is also available so that developers can build a clients that can be connected to the google talk service. Currently google talk has native support for windows-XP(or Later) and Mac OS X only i.e for Linux or Ubuntu google talk is not developed(Although it is guessed that for Linux gtalk is under development…).On the second thought,ubuntu 10.04 has already a Empathy IM(Instant Messenger) client but if you have used gtalk before on windows XP or 7 then you won’t want to forget gtalk.Although there are many other ways you can use google talk on your ubuntu 10.04.One of the simple ways is to install it through wine. Update1! A lot of people have complained that the method explained below that – it doesn’t work anymore (probably due to some dependencies compatibility or other issue) – so you are recommended to choose another alternative – like empathy (it may be installed by default in your Ubuntu distribution, so you just need to set up an account with it) or install skype for text/audio/video chatting. have Fun! #1. To install google talk,first you need to install wine on ubuntu 10.04.Skip this step if already you are using wine on ubuntu. #2. Download the gtalk windows executable from the google’s website. #3. Install Google Talk on Ubuntu by Right click-> Open with Wine Windows Program Loader. #4. I hope Your work is done!